Q3 2015 was a turning point for e27 when we introduced e27 Startups, e27 Investors, e27 Events and e27 Jobs, as a natural and strategic extension to our media platform. Going beyond the daily news grind, this was also a way to keep all active stakeholders of the region’s tech startup ecosystem engaged all 365 days of the year – as an O2O integration to complement our flagship conference brand, Echelon. Since then, e27’s media platform has gained considerable traction, having hosted more than 26,000 startups, 3,000 investors, 13,000 events and 8,000 jobs. Instead of letting all these sit dormant on Linode, we decided to leverage on this database to churn out meaningful information and insights to continue serving our mission – to empower entrepreneurs with the tools to build and grow our businesses. 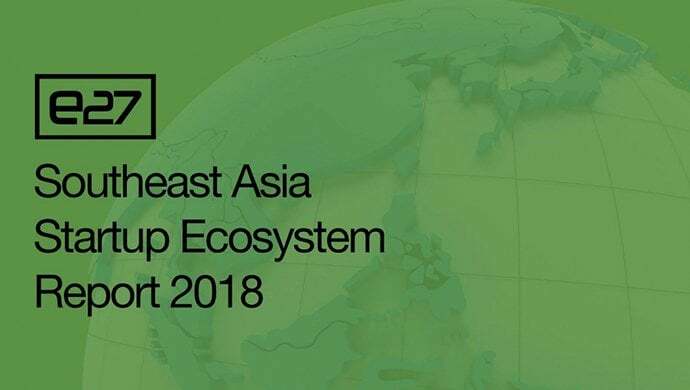 e27 tracked 5,828 active tech startups and captured a total of 436 deals and US$17.26b funds raised across the ASEAN-6, namely Indonesia, Malaysia, Philippines, Singapore, Thailand and Vietnam (presented in Alphabetical order). These were companies who either created a new profile and/or updated their existing ones on e27’s media platform in 2018. The report ends off with a summary of the region’s macro-trends, followed by a curated list of the top 10 stories that impacted Southeast Asia in 2018. Are we proud of the production of this report? Hell yea! Especially considering that this was a bold insertion to last quarter’s OKRs, and that it’s our first run at crunching our own data to produce content like this. Is this report accurate? Definitely not a 100%. e27 data is heavily reliant on inbound participation and we are well aware that there are startups and stakeholders that have no engagement with our platform at all (this is further explained in the report’s methodology). Case in point, TFI’s Vietnam Startup Ecosystem Report captured US$760m+ of funding, whereas e27’s platform only recorded US$193m. Nevertheless, we are excited by its vast potential and the endless possibilities. This publication is not a one-off, but a continuous effort to improve visibility and transparency in Southeast Asia’s tech startup ecosystem. To make sense of Southeast Asia’s growth and complexity, this project also presents an opportunity for us to develop a stronger sense of community. This is an open invitation to the #e27community to continue engaging our platform proactively, as we continue serving our mission- to empower entrepreneurs to build and grow their business. We are also in conversation with active stakeholders and various governments for collaboration and partnerships, so that 2019’s epublication will be more valuable and impactful for the region’s tech ecosystem.